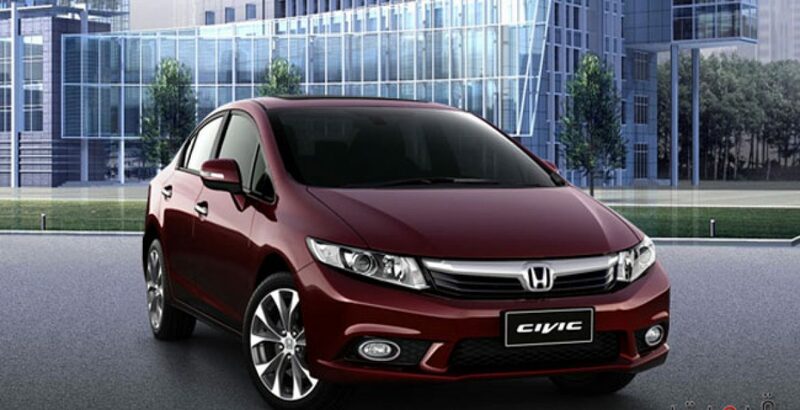 Honda Civic is one of the most reliable and practical sedans for a smooth and comfortable journey. The vehicle itself has been through a long journey of modifications. It is undoubtedly a well-known name in the automobile industry. However, the Civic has not always been a Sedan. 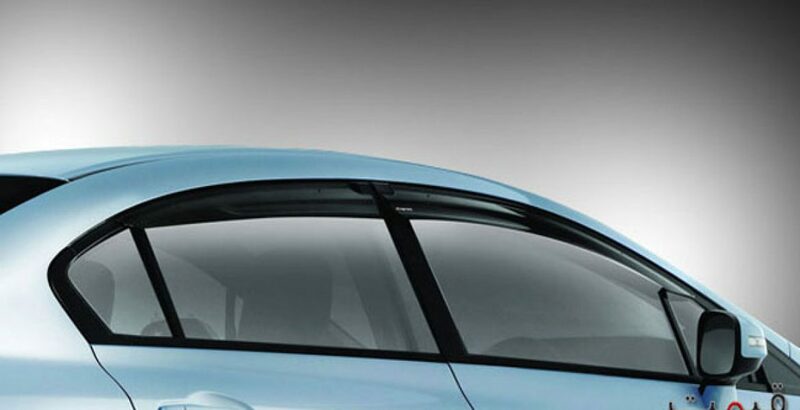 In fact, different nameplates have been used for different versions of hatchbacks before its transformation to the new Honda Civic as it is known in the world of today. The interesting history of Honda Civic new model began with its introduction to the market in 1972. It was a small two-door vehicle back at that time. The same year, it was transformed into a three-door hatchback. From then onwards, manufacturers kept on enhancing the features of the vehicle. This is how a simple car was modified to become a luxuriant sedan known by the world today. At its introduction, the automobile gained rapid popularity by being fuel efficient. As the time went on, constant modifications turned it into a much more powerful vehicle. 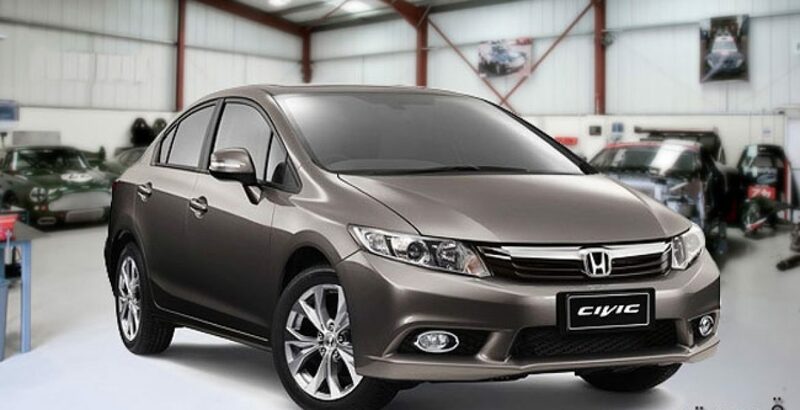 Therefore, apart from its fuel economy, its performance and sporty features also led to a great deal of fame as you can see in the Honda Civic pictures. The luxury vehicle has now passed through nine generations. It was the fourth generation introduced back in 1987 which experienced a major facelift. The old hatchback was transformed completely into a bigger and more elegant sedan. The current generation was introduced in 2012. This new version is more aerodynamic, more energetic and, undoubtedly, more elegant. 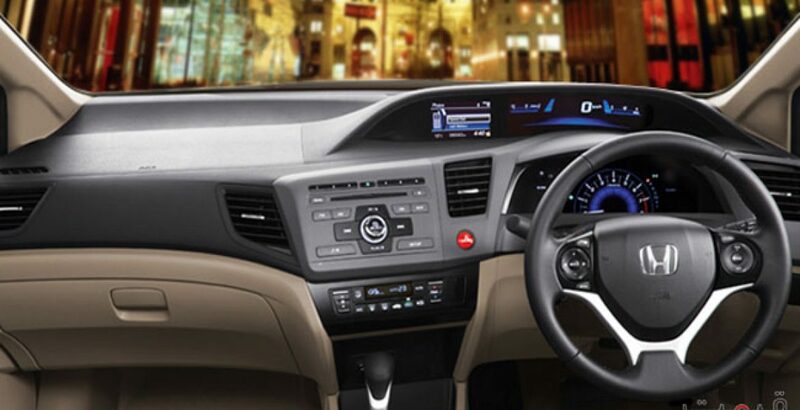 It has been upgraded through the incorporation of Eco Assist technology of Honda. Therefore, the car continues to maintain its earlier reputation of being fuel efficient with reasonable Honda Civic price in Pakistan. In addition, several up-to-date safety features are found in all the new models. 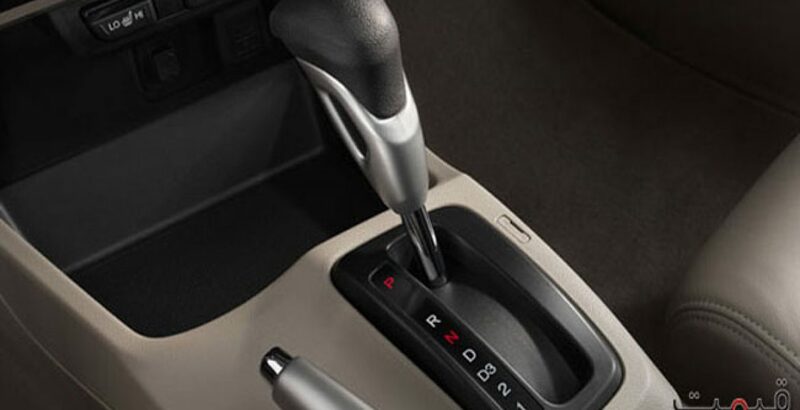 These include Anti-Lock Brake Systems, Electronic Brake Distribution and Vehicle Stability Assistance. A multilink rear suspension is another prominent addition to the modern Civic which helps the vehicle deal with poor road conditions. The motorcar is not wildly sporty, but definitely a head turner. Its noticeably aerodynamic body gives it an extremely sleek look. The front grille has two crystal headlights on each side to add to the vehicle’s stunning appearance. Aesthetically shaped crystal lights also adorn the slightly uplifted rear. The current model of the car comes in a range of six colors and it maintains its elegance through Taffeta White and Alabaster Silver colors. On the other hand, it also manages to carry a bolder and more confident look in Carnelian Red and Crystal Black. The ninth generation Civic is available in seven trims in the international market. The most luxuriant of these versions are EX and EX-L with automatic transmission and the perks of navigation system. The engine and performance specifications of all these seven trims are the same. Each of these is equipped with a 1.8 liters engine. Generating 140 horsepower, a mileage of 36 mpg is achieved on the highway while 28 mpg is the mileage for city. The interior of the car can simply be described as peaceful and comfortable. Moreover, the brand new version also takes care of the entertainment of the passengers through the pre-installed CD player as well as FM radio. Tilt telescopic property of the steering wheel gives a good grip to the driver who can enjoy steering smoothly. The passengers can also find themselves to be at ease through the soft and comfortable seats, air-conditioning and leg space. All the modifications the car has been through were worth it. Today, it is the name for an extremely stylish sedan which runs efficiently and smoothly and has affordable Honda Civic Price. Technology makes it more environment-friendly as well as safe for the passengers. This comfortable vehicle is, therefore, the right choice for anyone who desires a safe and comfortable journey with their family in an elegant automobile.